Stephen Sadler reluctantly attends the Seattle wedding of Robert Chamberlain to Ellie Standish, the woman who had captured his interest. There he says goodbye to the woman he thought he had fallen for. Only a few weeks later while traveling on a train, Stephen is confronted by the vision of a strange wild-haired woman in a pair of snug-fitting trousers called "jeans" who claims she doesn't know where she is or how she came to be on his train - until she sees the date on the newspaper, that is. Dani Douglas cannot travel through time! Her mother in Montana is ill, and she has to get back to her. But the crystal clear blue eyes of handsome Stephen Sadler hold her captive in 1901, and she doesn't know how to leave him - perhaps forever. Stephen realizes that Dani a nd Ellie have much in common, but where Ellie simply captured his interest, Dani has captured his imagination and his heart. Unlike Ellie though, Dani cannot stay. Her mother is ill. Stephen doesn't know how he can let her leave him - haps forever. 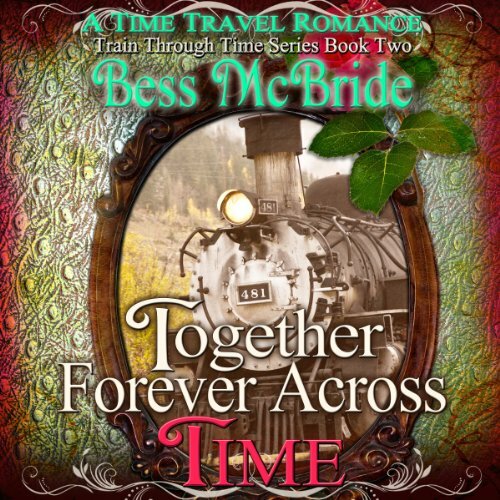 As the train hurtles back and forth across the rails, Stephen and Dani struggle to find a way to be together forever across time. Coming in the summer of 2013: Book Three of the Train Through Time Series. This is the second book in the series. It could stand alone but I think reading book one would give you some background to Ellie Robert, and Stephen. Danny arrives via train just as Ellie had a few years earlier. This book kept me interested and I read it straight through. Teri Schnaubelt does an excellent job. Her performance always make the characters have real personalities. I cannot wait to read book 3. All aboard! Next Stop In Fun Time Travel Story! I liked the first installment of this series. Although it had a few snags for me. However I love Teri Schnaubelt as a narrator and the overall first story was enjoyable enough to take the " next ride" through book two. let me just say "Loved it! "...Satisfying and kept me listening to the whole book in one day! The story is connected loosely to the first and is better appreciated if one reads the first book in series before. Although it could be a stand alone story. So get a cup of tea and settle in for a marvelous visit to the turn of the century adventure and back again... As for me..I just got my "ticket" for the next train series "A Smile In Time...hope you enjoy the ride as much as I did!